In 2003, CA carried out an excavation at a quarry in Upper Bucklebury, West Berkshire, uncovering evidence for a long sequence of occupation on the site and information about how the people lived, organised their environment and the technology they used. A Late Bronze Age settlement dating to the 10th century BC was found, associated with long alignments of closely set posts. These appeared to provide a framework around which the use of the settlement was organised, with different activities in different parts of the site. Samples taken from the site yielded microscopic residues including iron hammerscale. The remarkable abundance and distribution of the hammerscale is seen as evidence for the earliest ironworking site yet recognised in Britain. More hammerscale was recovered from a subsequent settlement on the site, dating to the Early Iron Age (5th century BC), as were larger residues from both iron-smelting and iron-smithing. The identification of an iron-smelting site dating from so early is important in itself as there is only limited excavated evidence for ironworking in or before the 7th century BC in Wessex and the Thames Valley and in Britain generally. The full report Ironworking in the Bronze Age? 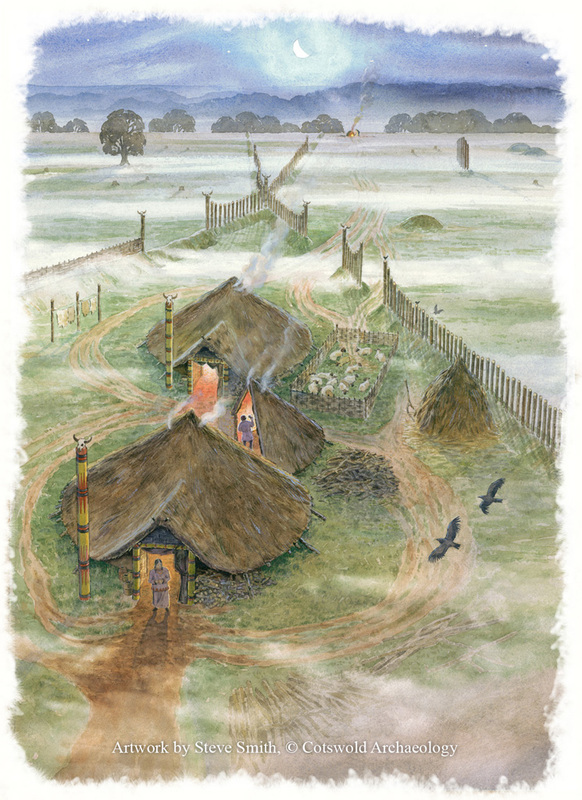 Evidence from a 10th century BC Settlement at Hartshill Copse, Upper Bucklebury, West Berkshire can be found in the Proceedings of the Prehistoric Society Vol. 72.